Steven Anderson fixates on details—it’s a big part of what makes his zine, Dithering Doodles, so fascinating. He pauses mid-story to make sure he hasn’t missed something. Sometimes it’s a detail so seemingly inconsequential that it’s hard to see how the anecdote would be different if it took place in early October instead of late September, but those are the things that matter to Anderson. Little details and exact dates stick out more than anything when Anderson speaks, and it’s something that he takes great pride in representing through his work. Steven Anderson started Dithering Doodles back in 2011. 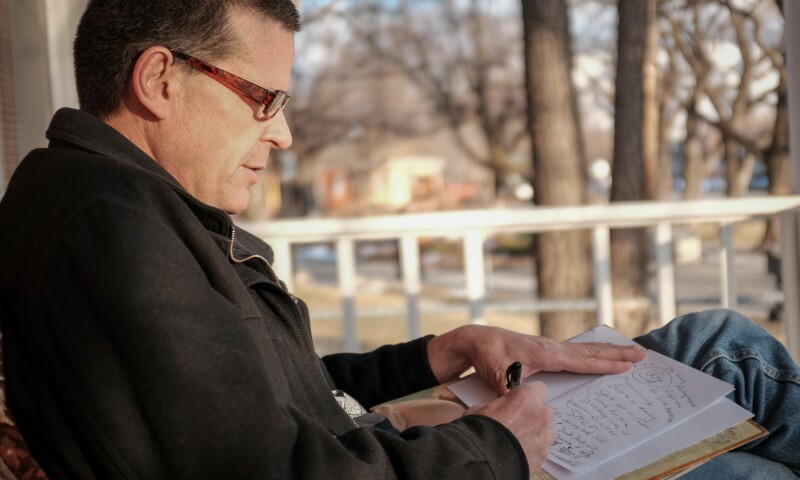 He’d been writing, drawing, and collecting his thoughts in journals since he was a teenager in the late ’70s, but he never put them in a collection for people to see until just a few years ago. 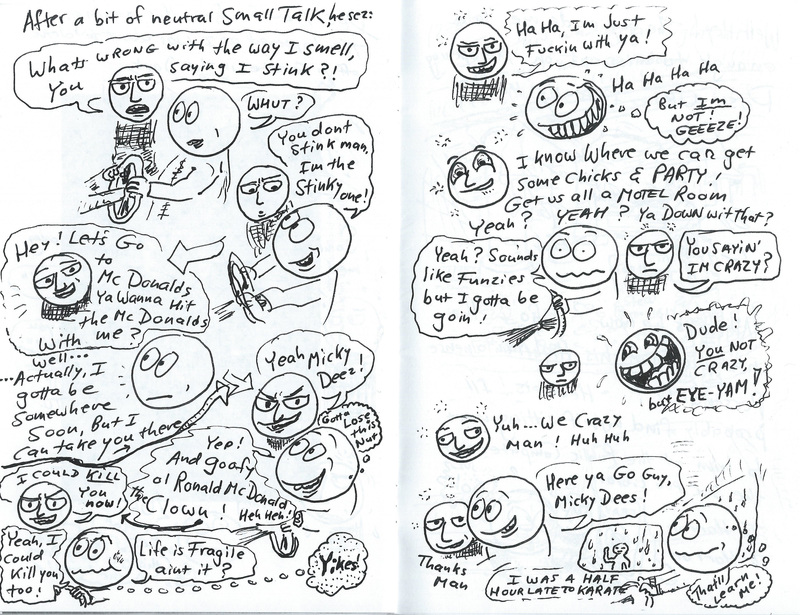 Most issues consist of newspaper-style comic strips that are stream of consciousness trips through his mind and slice-of-life stories filtered through personal and local history. At first glance, some of the clippings might look completely random, but there’s a method to the madness, and oftentimes, how a particular piece came to be included adds another layer of complexity to what appears to be just a collection of crude drawings stapled together. Even though his father found other ways to provide for his family, he never stopped drawing, which only further encouraged Anderson. Since then, Anderson has been doodling on any and every available surface—even if it got him into trouble. He pulls out the very first issue of Dithering Doodles and turns to a little figure that doubles as his own alter ego. He confesses that he sometimes uses the cartoon to show how he wishes he’d reacted during certain situations. Pointing to a specific sequence on a page, he recalls what kickstarted the shift from his personal journals to creating something that someone might see.